Got a limit of walleye in about 45 minutes. Nothing over 14" but nice size eaters. 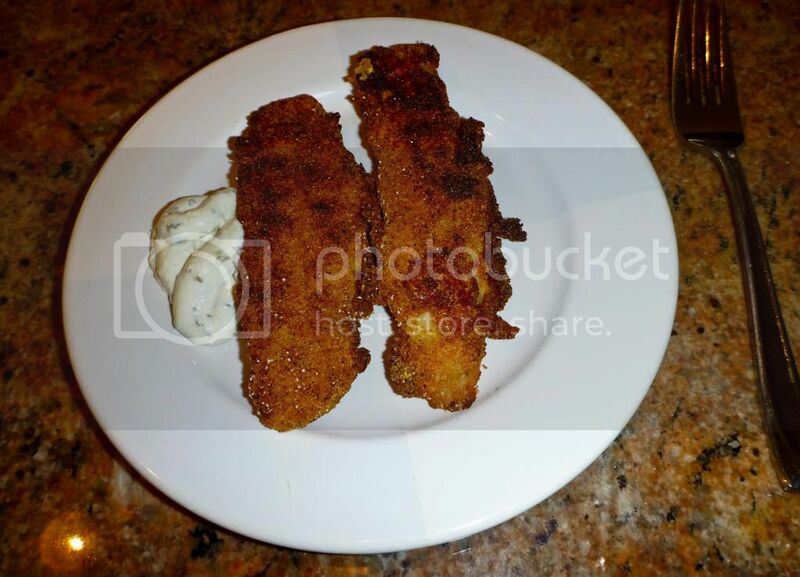 I fried up three for lunch, they were delicious. All caught on a chartreuse wolly bugger dead drifting in a pocket hole the size of a bath tub carved out by a downed tree. At the end of each drift at the swing most of the time there would be a fish. Nice to catch walleye just an arm's reach away. Wading right next to them. Water felt COLD! Amazing how fast it changed in a couple of weeks. Was my first stop yesterday. Only one before I could not stand the cold water any longer. They may not fight well, but who cares? There isn't a better fish to eat than a walleye. 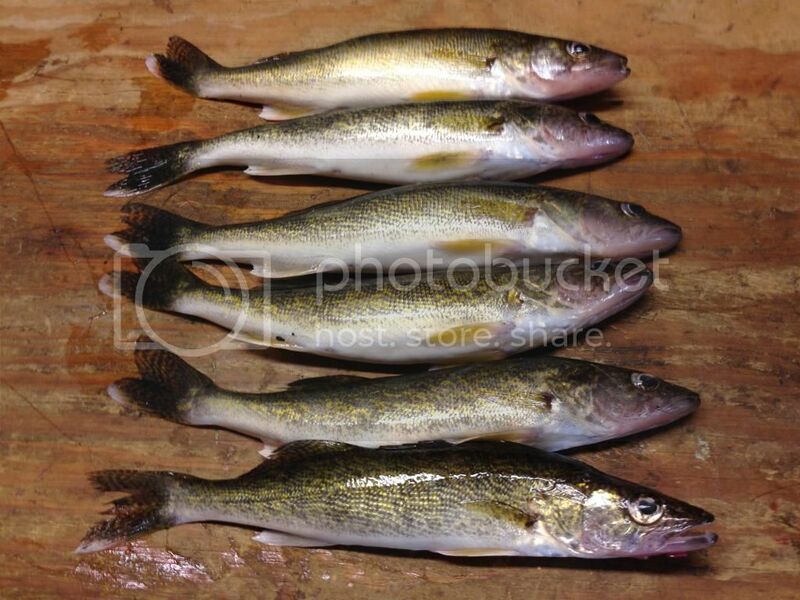 I think next year will be good walleye fishing. 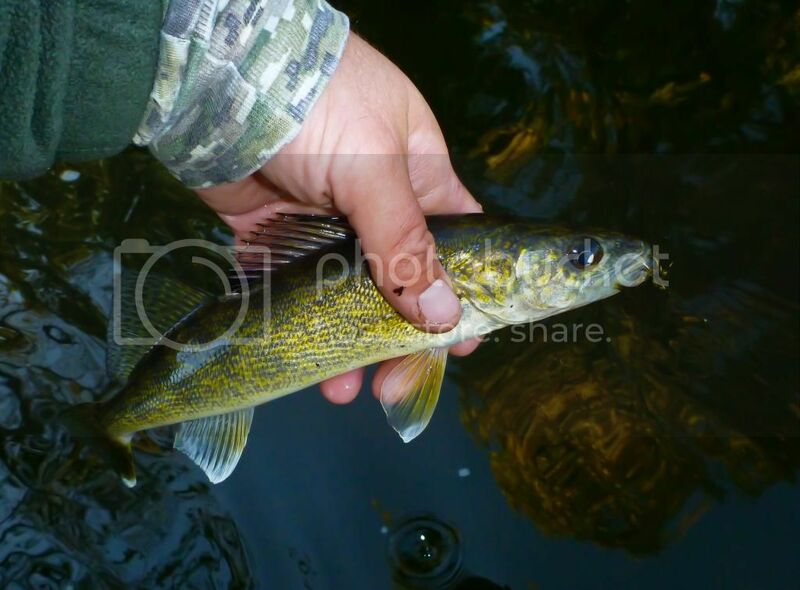 I've caught a ton of walleyes this size and smaller. Those year classes will be good eater size. I like to saw them right down the middle then cut the rib bones out. Fillets are easy especially with my electric knife. ok mark, its 8AM and I am really hungry .... homemade tartar? I have a really special recipe. I'll share it with you. Mayo, pickle relish, lemon juice. Mike it is to die for. Caught and released this 25er on Winnie last July. The old timers pretty much fish banker's hours on that lake, (pre-zebra mussels, the water clarity was generally pretty low, so you could drag lindys in the bars and humps in the middle of the day and do well) but we managed to convince my wife's grandpa to give the night bite a shot and it produced.